When your potential customers arrive at your establishment, what image do you convey to them? Does your commercial advertising sign attract their attention? An attractive, well maintained electrical advertising signs sign will bring in more customers and allow your place of business to function to it's fullest economic potential. The Shopping Center. Whether or not it be a mall, or that tiny grouping of stores in the center of your small town, we've all visited a shopping center at some point in time. One thing that all stores within shopping centers have in common is their competition amongst themselves. Obviously every store wants to be able to attract the highest volume of customer traffic possible, as the higher the foot traffic, the more potential to make sales. However, setting yourself above the competition is a task which is certainly easier said than done! Getting consumers into your store may not seem like a difficult task, yet can be one of the most menacing things a store manager/owner must figure out. The idea is to stick out to the customer. You want to make them remember your location. Having said that, one must realize that the first thing a customer will notice, is the stores sign. This will be the initial contact between your establishment and your customer population. Questions to consider include: What message do I want the store to convey? 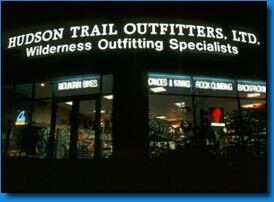 What types of electric advertising signs have been successful in the past for other stores? What type of sign would appeal to the widest range of possible customers? All of these factors come into play when deciding what sign best represents your store. That being said, your advertising signs should be attractive and well maintained. They should appeal to the customer and intrigue them in order to increase the amount of people which physically come into the store. Even if nothing is purchased immediately that day, the seed will have been planted, so to speak, bringing back traffic at a later date. All of these things take time, however once they are mastered, will allow your store to function to its fullest economic potential.